The Harvard-Yenching Institute is pleased to announce that the second book in the NTU & HYI Academic Book Series has been published. 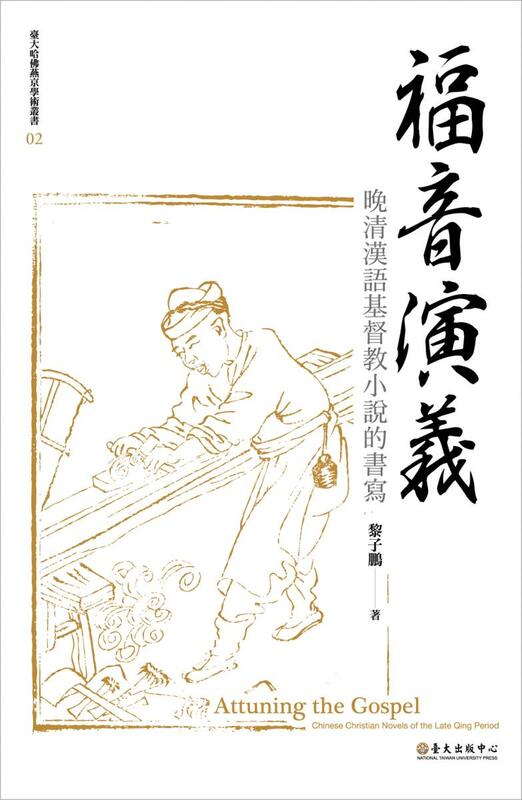 The monograph, entitled 福音演義：晚清漢語基督教小說的書寫 ("Attuning the Gospel: Chinese Christian Novels of the Late Qing Period"), is by John T. P. Lai (黎子鵬) and was published in July 2017. Additional information about the publication is available on the NTU Press website. About the monograph: Attuning the Gospel makes a critical and holistic analysis of a representative corpus of Chinese Christian novels of the late Qing period. Part I “On Translated Works” examines the first German-Chinese translated Christian novel Jinwu xingyi (金屋型儀Thirza, oder die Anziehungskraft des Kreuzes, 1852); the Christian allegory Shenglü jingcheng (勝旅景程 Pilgrim’s Progress, 1870) making profuse annotations from the Confucian classics; and the children fiction Anle jia (安樂家Christie’s Old Organ, 1882) portraying vivid imagination of the heavenly paradise. Part II “On Original Works” investigates Shifei lüelun (是非畧論 Brief Discussion of Right and Wrong, 1835) with a reconstructed image of Britain as the “supreme nation”; Yuese jilüe (約瑟紀畧 Life of Joseph, 1852) which transforms the biblical narratives into a Chinese historical-biographical novel; and two “New Age Novels” from the 1895 fiction contest, namely Wuming xiaoshuo (無名小說 Unnamed Novel) and Qumo zhuan (驅魔傳 Story of Demon Banishing), seeking effective ways to purge Qing China of the social vices of opium-smoking, foot-binding, and the eight-legged essay. Through the multiple lens of religious themes and narrative characteristics, this study displays a kaleidoscope of writing strategies of the Protestant missionaries and Chinese Christian authors in attuning the Gospel against the socio-cultural contexts of late imperial China.